If you want a simple (and free!) 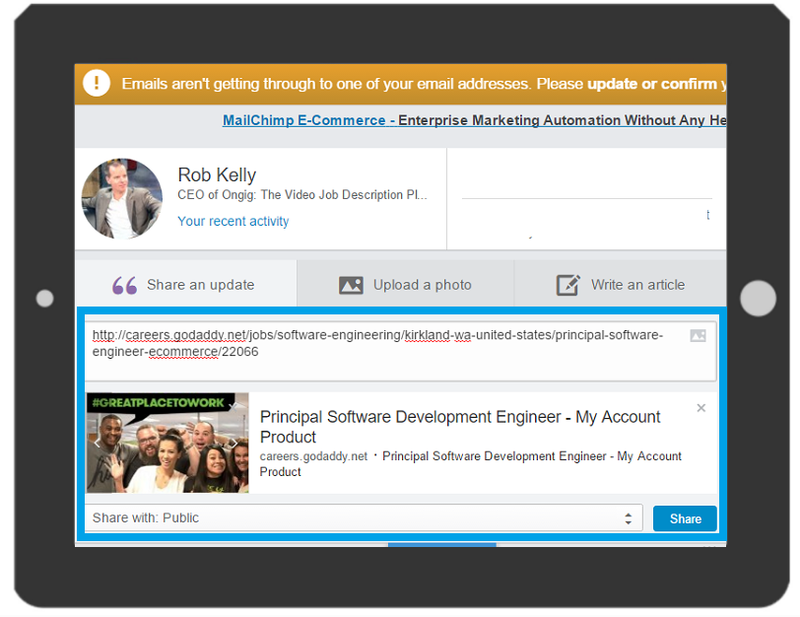 social recruiting tip, try adding visuals to your job descriptions. We all know that hardly anyone will share a plain text-based job description. However, if you add quality images or video to your job descriptions (did you see that Google recently began adding 10 to 15 pics per job description) then you will get what I call “the news feed effect” and plenty of shares. The news feed effect is simple. 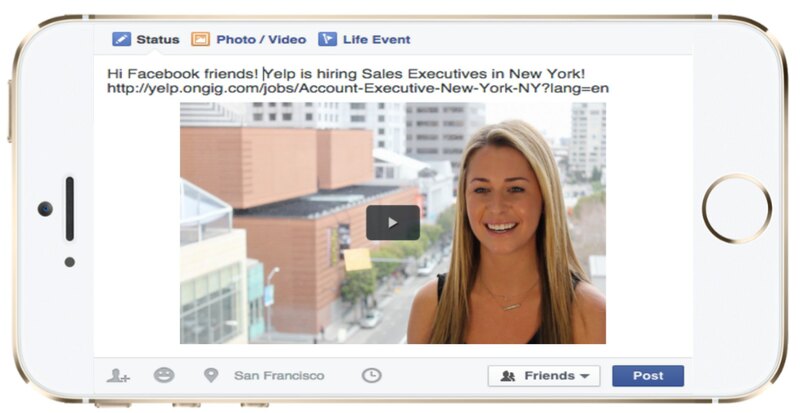 Once you’ve embedded a pic or video to your job ad, you are more likely to get candidates and employees to click one of the social-share buttons (LinkedIn, Facebook, etc.). Because they can see a preview of the job description before they actually go ahead and “Share” (LinkedIn) or “Post” (Facebook), then the sharer will see that it’s a good looking piece of content to put up on their social network — and they will more likely go and share/post it. While almost no one socially shares text-based job descriptions, I’ve seen media/video job descriptions get shared more than 1,000 times and generate 2 to 3 candidates per social-share.